Deep Space Station 45 is a 34-metre diameter High Efficiency type antenna. It entered service at the Complex in 1986. 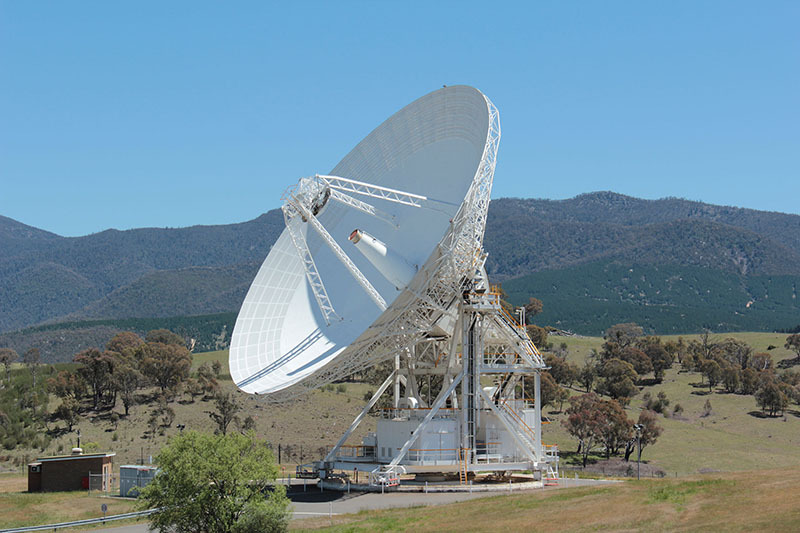 Construction of Deep Space Station 45 (DSS-45), a high-efficiency (HEF) antenna, started in 1984 and was completed in 1986 for the Voyager 2 encounter with Uranus. 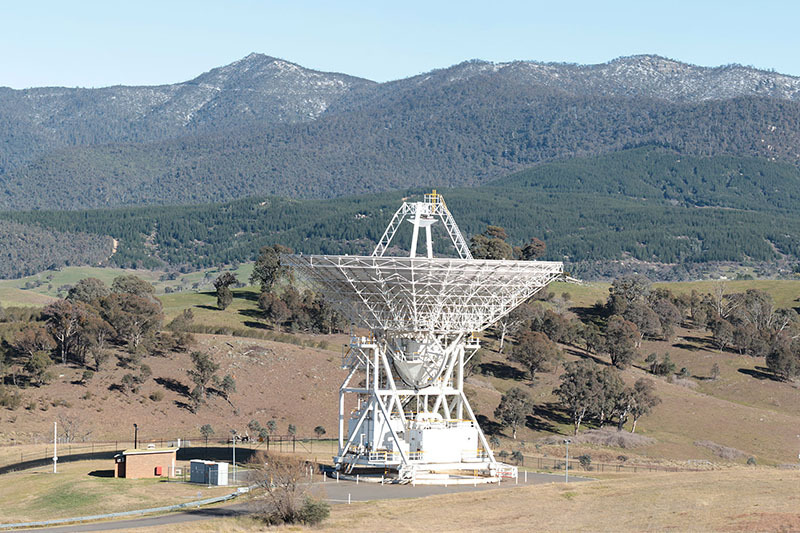 It was used in an array with the other antennas at the Complex plus the Parkes radio telescope to increase the receiving capability for the Voyager 2 encounter. The HEF antennas provided two significant radio frequency developments. The first was a dual-frequency feed, which allowed multi-frequency operation with only one feed horn. 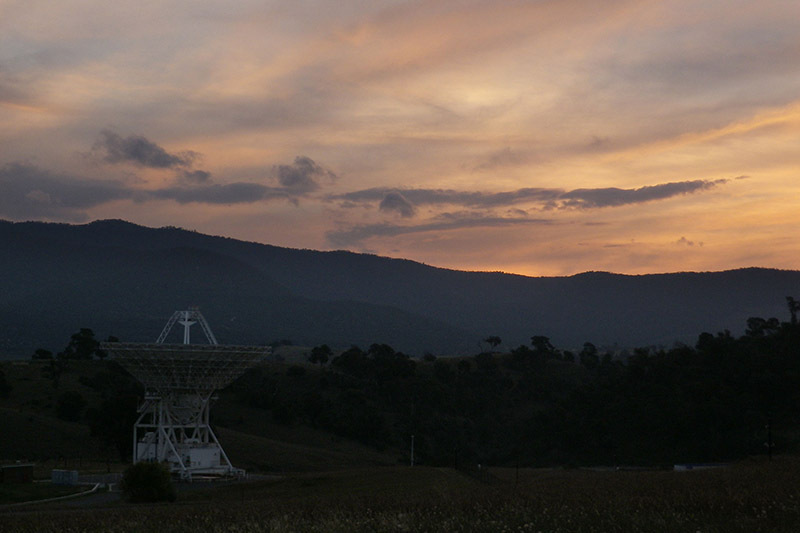 The second was compound curve dish panels which are utilised to improve antenna gain. The antenna has an azimuth-elevation type mount which was electrically driven. It rotated on a precisely levelled circular steel track with a diameter of 19.6 metres using four wheels (two drive wheels and two idler wheels). It was held in place laterally by a pintle bearing mounted on top of a reinforced concrete central pillar. Driving the antenna up and down is the elevation gear wheel which is attached to the antenna dish structure. The antenna was retired from deep space service on November 3, 2016. Find more photos of Deep Space Station 45 in our Gallery.